M-Fire Is Defending National Builders From Fire Like Never Before And Now Adding The Mold Litigator Defender Program. Our Mold Defender creates a lightly tinted red anti-microbial shield that inhibits mold growth and retards the growth of fungal spores to offer and early litigator defense for our builders. All Builders and Construction Defect Attorney’s know today’s commodity framing lumber coming out of reloads has a really good chance mold is on it before it’s even nailed into a wall. 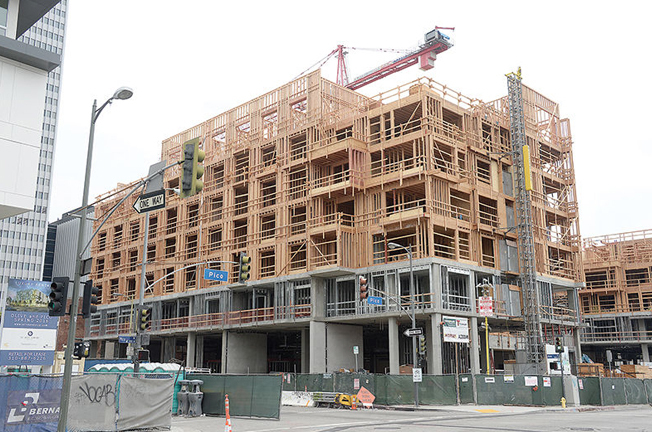 Commodity framing lumber stored in outside reloads allows deep moisture down in the units of plate and studs where the moisture levels get higher to support mold and rot before the units are even opened. In wet winters and spring months the exposed lumber units can arrive on job sites with rot already setting in. When production framing shows up on site there is a high chance mold and rot on studs ends up in walls and can create problems for builders down the road if left alone and untreated. It has been known and well documented that in many mold related construction defect cases that mold produces poisons classified as mycotoxins that can cause human health issues. It’s this mold poison science ie. (toxins) called Aflatoxins, Ochratoxins or Tricothecenes that shows up in litigation to attack radical settlement claims amounts. The plaintiffs attorneys will explain how toxins are very small and float on dust particles in the surrounding air inside occupied housing projects especially with force air heating and cooling systems. Settlement amounts skyrocket when experts further elaborate how these mycotoxins are responsible for making inhabitants sick. M-Fire's trained and certified FRC Applicators, are expertly trained to see and locate black-stain and mold to give our builder early mold remediation and peace of mind. Defending fire early saves buildings and defending mold early defends our builders from litigators. Our builders water intrusion experts are there to defend them from leaks that promote mold growth. Our mold and fire defense programs are supported by our chain of custody’s documentation: from our audited quality assurance blending facility to our trained applicators with real time data delivered by our M-FIRE-APP. 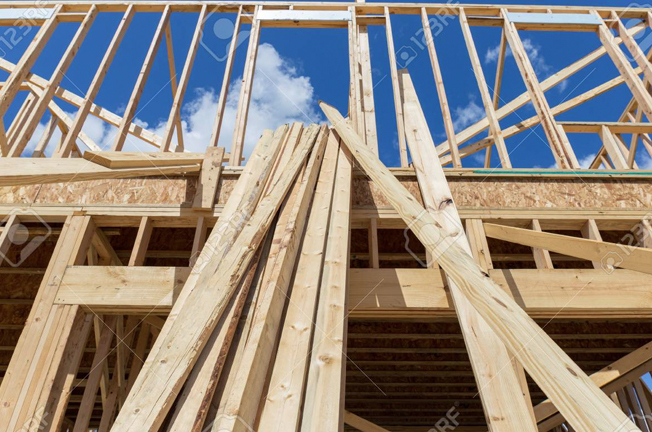 The new school of loss prevention by defending all the interior lumber during the framing stage instead of just a fire wall can save buildings from total loss in fire because raw wood left alone is fuel. Defending all the interior lumber during the framing stage from natures process of supporting mold growth on wet wood defends builders from future litigation when the mold attacks indoor air quality when buildings are occupied. Our early mold prevention still depends on how good the builders water intrusion experts are. Constant wetting and leaks are un-defendable until the leaks are fixed with additional mold remediation is completed. Our mold and fire defense programs are supported by our chain of custody’s documentation: from our audited quality assurance blending facility as well as our early mold protection to help defend the air quality in occupied buildings for our builders. Our builders water intrusion experts are there to defend them from leaks that promote mold growth. Our mold and fire defense programs are supported by our trained and certified applicators that support our chain of custody’s documentation from our audited quality assurance blending facility to our APP to recorded defended units or houses as saved defendable data. *M Fire can only defend the builders that are paying attention to what is changing in the building industry when it comes to sensors and data collection that will and can be used in court for or against you. The asset protection benefits associated with good indoor air quality, especially protecting buildings from potentially disastrous mold and moisture issues, are resonant with most building owners and investors. The increase in awareness of mold as a cause of human health complications has catalyzed an uptick in related lawsuits in the United States in a way that is reminiscent of asbestos cases. One only needs to search the internet to realize that the number of personal injury and property damage lawsuits brought by tenants against building owners and entities in the construction process (including claims for defective construction and exposure to toxic mold) is a burgeoning area of litigation. The number of pending building mold cases around the United States is now more than 14,000 and with juries awarding multimillion dollar settlements for it, building owners and their attorneys are actively looking for ways to protect against mold and moisture problems.